As we move closer to February, photos of Nike’s annual Black History Month collection are popping up and our first teaser is of the KD 7. Sporting a black and white color scheme, the ‘BHM’ collection this year will once again feature a unique pattern design of american american heritage. 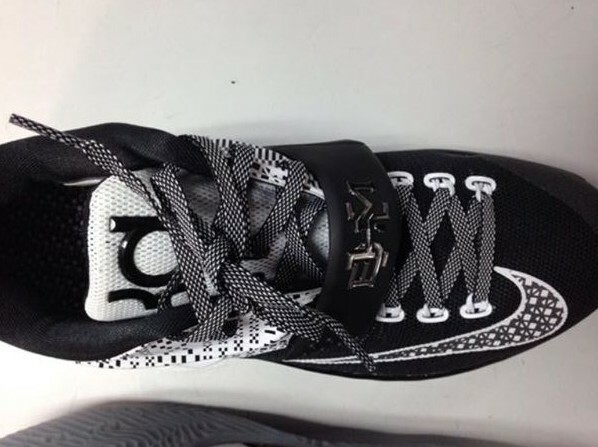 ‘BHM’ branding is found on the strap of the KD 7 in a metallic silver finish for a nice touch. Overall I have to say that the lack of color is not a personal favorite, as i enjoyed the unique color combinations usually found in Nike’s ‘BHM’ collection (especially the 2012 ‘BHM’ collection). But a little contrast never hurt anybody and I’m sure a lot of sneakerheads will be all over this simple colorway. 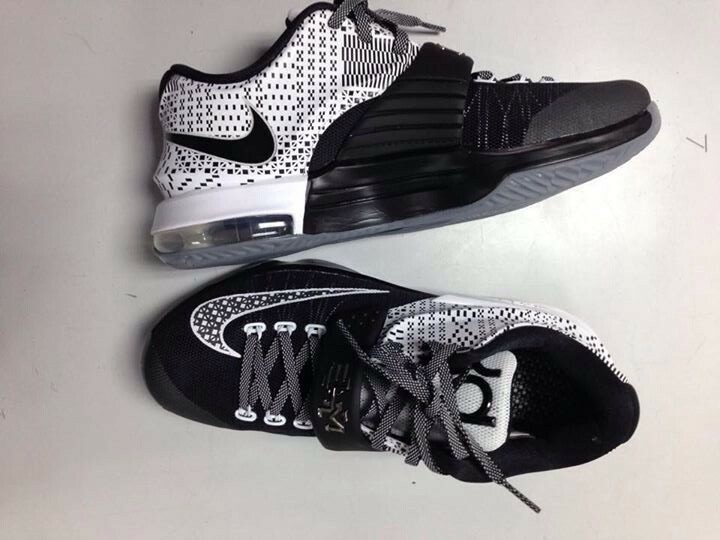 What do you guys think about the Nike KD 7 ‘BHM’? Let us know in the comments section below, and stay tuned for any upcoming information regardin a release date. I knew the last two editions were going to be hard to follow up, especially last years with that black, purple, & gold. 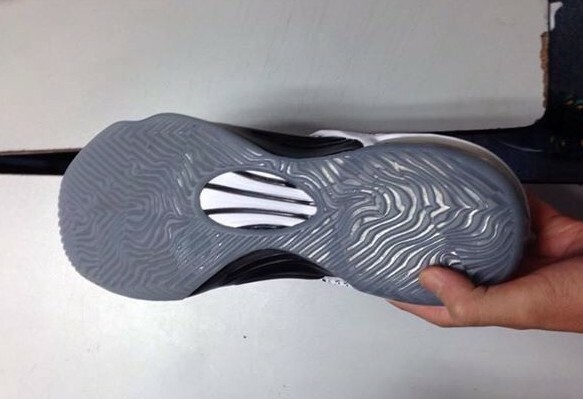 Kobe and LeBron models will probably be oreo colors too. but do you like these? Just now seeing this. No I don’t like these, back then or now. Nike is getting too loose with KD’s EXTs; they’re not on point for $200. 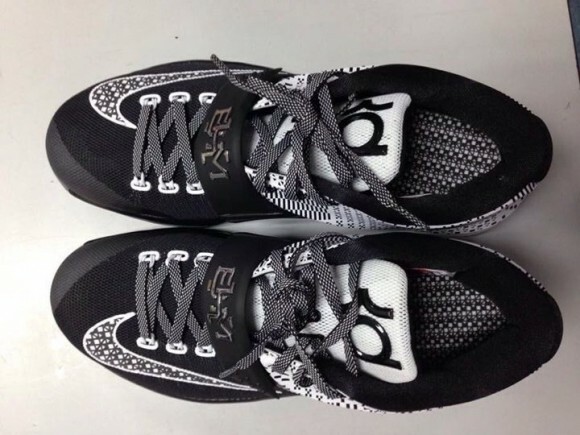 The laces look like the exact same size and “type” as any other kd 7 released… there’s just a different pattern on them? Definitely man. There have been some very odd color ways but these get the job done and are the best so far. They couldn’t top l year’s so they went the “safe” route with the color blocking.